I’ll just be upfront about it and say that I adore the Uncharted series. There are plenty of design decisions that I can and do criticize, from overuse of long climbing/platforming sessions that don’t provide much challenge to certain narrative criticisms. But the games are always gorgeous, with amazing set pieces, charming characters, solid gunplay, and memorable moments. I’ve even always enjoyed the multiplayer, often criticized as tacked on. It is among my top franchises. 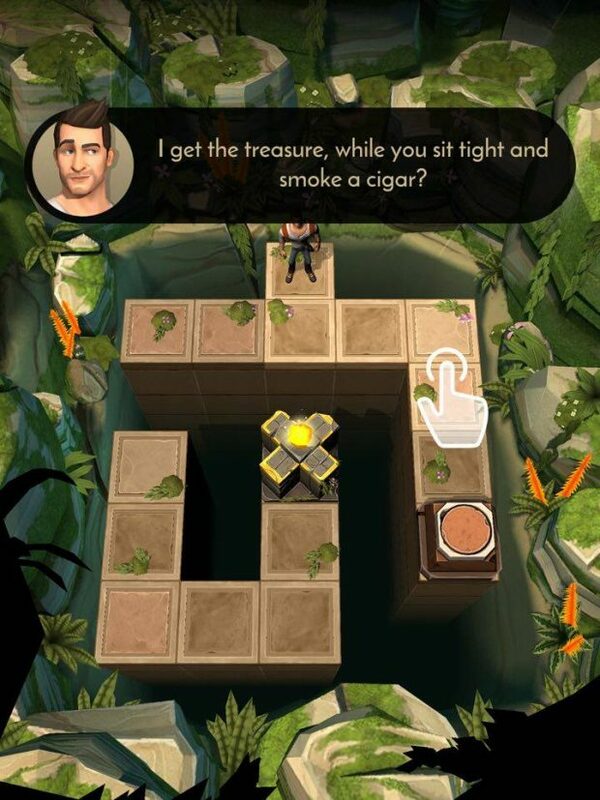 So it should come as no surprise that I wanted to review the mobile tie in puzzle game, Uncharted: Fortune Hunter (Free). Developed by PlaySpree and published by PlayStation Mobile, you might be missing that Naughty Dog level of polish and shine, but what is here is a very solid game. 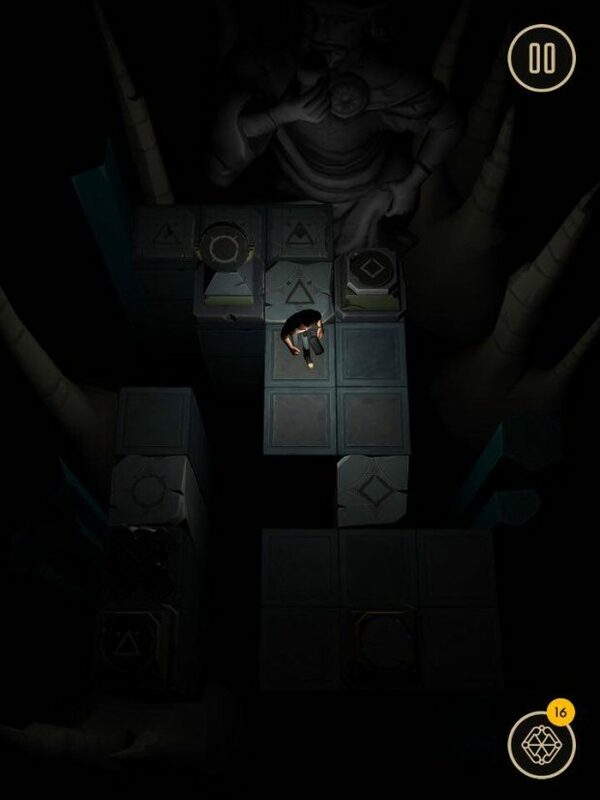 It has drawn many comparisons to Lara Croft Go ($4.99), and for good reason. Both games are puzzle centric mobile offerings based on action adventure franchises that are basically cousins anyway, what with all the treasure hunting and tomb raiding. Lara Croft and Nathan Drake are like the illegitimate children of Indiana Jones (Hey, there’s an improvement over Shia LaBeouf if I’ve ever heard one) so it’s only fitting. 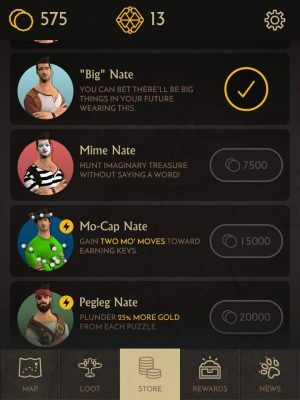 Though I will say that while Lara Croft Go is definitely the superior game, you shouldn’t discount our boy Nate here. 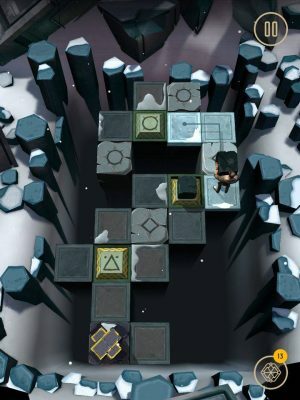 While Lara Croft Go tried to build their puzzles into an actual connected world, Fortune Hunter is happy to come off as more game-like and abstract, with floating tile puzzles suspended over quadrilateral chasms. Not that Go didn’t have some absurd ‘game-y’ sections, but I digress. The idea is to solve the mechanisms that will open a golden X tile containing treasure on each level. You do this by pushing and shooting switches, carrying and pushing blocks, placing and igniting explosive barrels, using pressure plates, and moving magic spotlights, all while avoiding rotating and stationary dart turrets, crumbling tiles, and timed spike tiles. Like many games of this ilk, the world only moves when you do. So it’s not about reflexes and timing so much as planning. You are rated out of every level by how many moves it takes to complete. Only physically walking around counts as a move. So if you can press a switch, shoot a barrel, or do whatever else while standing in the same spot, it won’t be counted against you. Positioning is key, as you can’t cross your own path in the same move. Completing the level within the move limit nets you a key, which is used to open timed loot boxes from our good pal Sullivan. You can purchase these loot boxes as well as different costumes for Nate tying into other games in the franchise with coins. Coins aren’t the premium currency, though. Mystical Orbs are. Uncharted would never be complete without some kind of fantastical or mystical element, so naturally that’s present here with the Orbs. 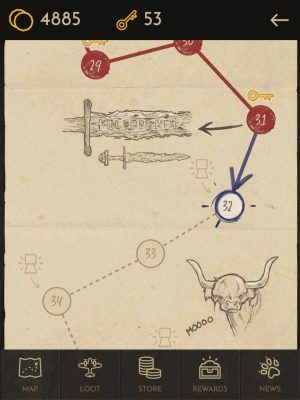 You can use orbs to instantly solve a level if you are absolutely stuck, getting the key and probably any hidden treasure. There are several hidden treasures in the game. You usually won’t be able to get them and also complete the level within the move limit, so expect to play many levels two or three times if you want everything. You can also turn 10 orbs into 5000 coins. The only IAP in the game is for these orbs and for a one dollar treasure map that shows you which levels have hidden treasure. The general value of everything is actually pretty fair, and you will find dozens of orbs randomly throughout the levels and loot boxes as you play naturally, so the IAP is truly optional. One incentive for using the iAP to get more keys or coins or lootboxes through orbs are the multiplayer rewards. If you have a Playstation 4 and play Uncharted: A Thief’s End, you can redeem various weapon skins, costume pieces, and boosters for the Uncharted 4 multiplayer. 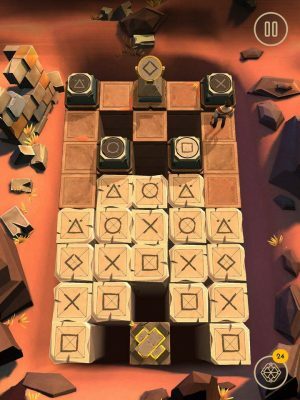 Funnily enough, Uncharted 4 seems to push freemium elements even harder than this mobile game does. Interesting reversal there. I will admit right now that I didn’t even start playing Fortune Hunter until the very end of May because I was so enthralled by Uncharted 4 (and also Doom). The reason this review hasn’t been written before now is the sheer quantity of levels. Twice the levels of Lara Croft Go, in fact, clocking in at 200. I have to say that while the quantity of content is very nice, it isn’t always quality. Many levels come off as redundant for sure. I wanted to play at least most of the game before reviewing it, and it was hard to stick with it at times. But I’m not going to complain about all this free content. Visually, the game is pretty nice. Nathan looks like he took a page from Sonic Boom and their redesign of Knuckles, but he gets the job done. The little jokes and dialogue snippets at the start of each level might test your patience though. Some of the lines are direct references to the actual dialogue of the games, or are at least in the same spirit, but even the good and clever lines will becomes tiresome once you’ve read them a few dozen times. Sound effects from the game are utilized in many ways, and they tried to imbue this game with some of the soul of its parent franchise, but it all feels a bit hollow. The use of Uncharted music is always welcome in my book, though. In the end, this is a valiant effort from debut developer PlaySpree. There is a lot to love. The environments can look very pretty, eventually making use of darkness and lighting and even heavy weather effects. I actually found the menus and interface remarkably appealing for some reason. And while not all the puzzles are great, several truly are. If you are a fan of Uncharted, this is a must download. If you like puzzle games, this will definitely scratch your itch for a while.